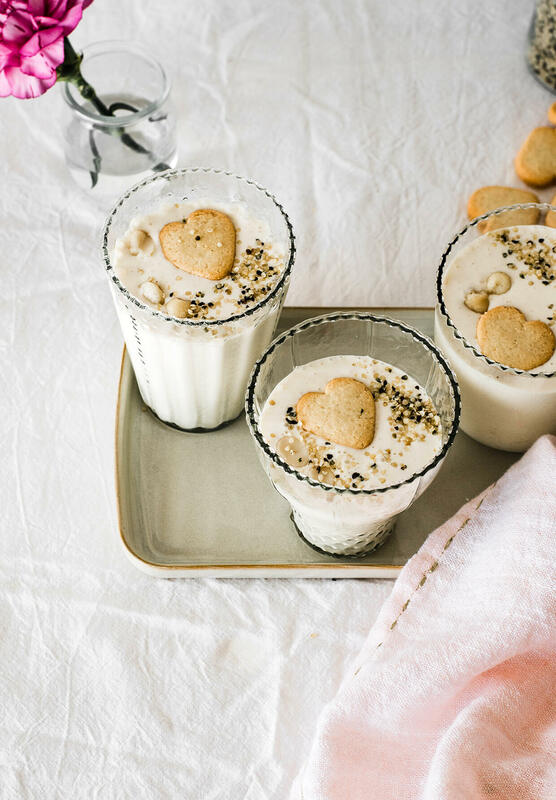 This healthy yogurt banana cream smoothie tastes like a frosty banana cream pie, with way less calories! Thus making it a perfect snack or dessert! There are days when I want banana cream pie for dessert (or even breakfast) and then there are days when I want something healthy-ish that tastes like pie but really isn’t. 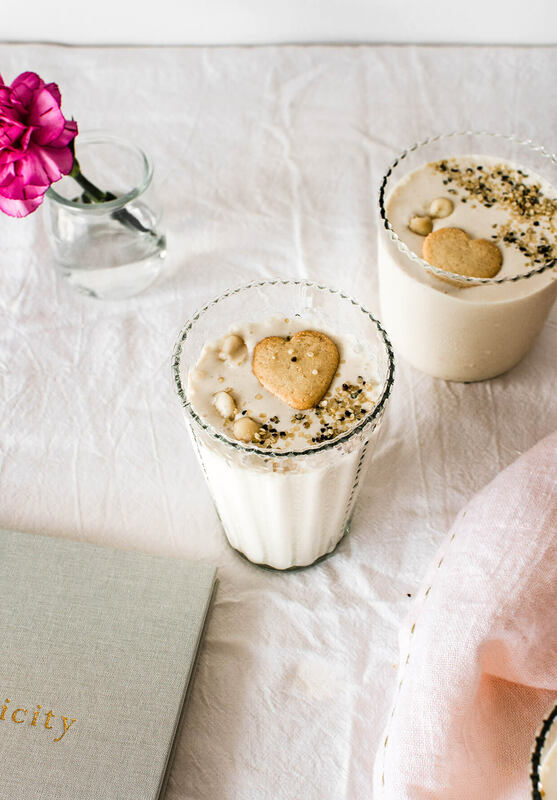 On those days I make myself this healthy yogurt banana cream smoothie. An alternative to this would be a really sweet banana or caramel yogurt, and if we’re being honest here, I totally buy those too on occasion. But they are really awfully sweet and if I’m going to have something sweet I’d rather have an actual piece of pie… so I made this smoothie as a nice medium between a creamy pie and a faux yogurt (which is what I call yogurts that have so many extra things mixed in that they’re not yogurts anymore). You know how I said this was healthy-ish? Emphasis on that ish?? 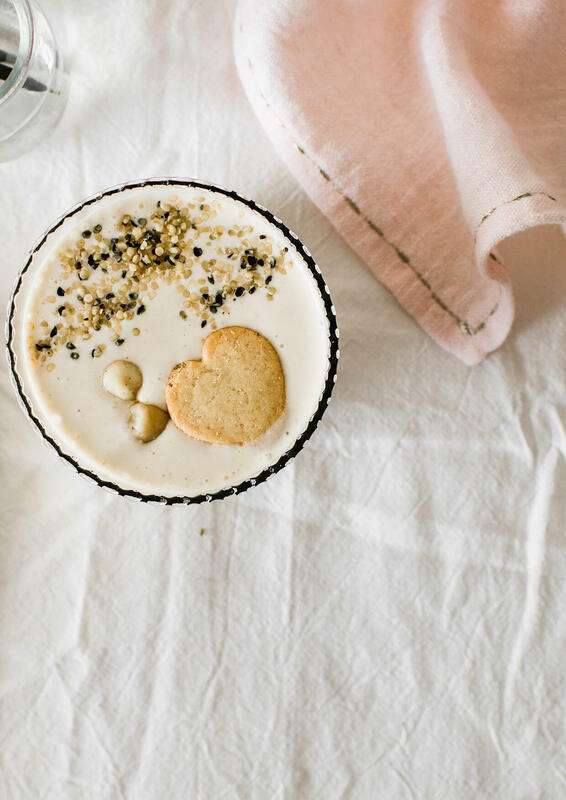 Well, that’s because this smoothie is healthy but it’s also a bit indulgent, because I make this one with some butter cookies (or vanilla wafers or lemon shortbreads). Yep, it has cookies in it. Which explains why I’m also calling it a banana pie smoothie. But apart from those few cookies thrown in for some flavor (and comfort), there’s nothing heavy in this at all. It’s packed with wonderfully creamy and rich Greek yogurt, not too much though. It also has frozen bananas in it, which almost make it an ice cream. Next to that, we have some nuts, because you just have to have nuts in a smoothie. I’m using macadamia, but cashews would be perfect too. What I love about any of these is that they add some bulk to the smoothie, they make it thicker and more flavorful without actually affecting the flavor (like some heavier nuts would do – think pecans or walnuts). And then we have, what I call, little treats thrown in: vanilla paste (or extract) and hemp hearts. I basically put these in every smoothie I make. And of course, me being me, I add some stuff on top too. This is one of those unnecessary steps which makes for a pretty smoothie, but you don’t actually have to do it. I just enjoy it. 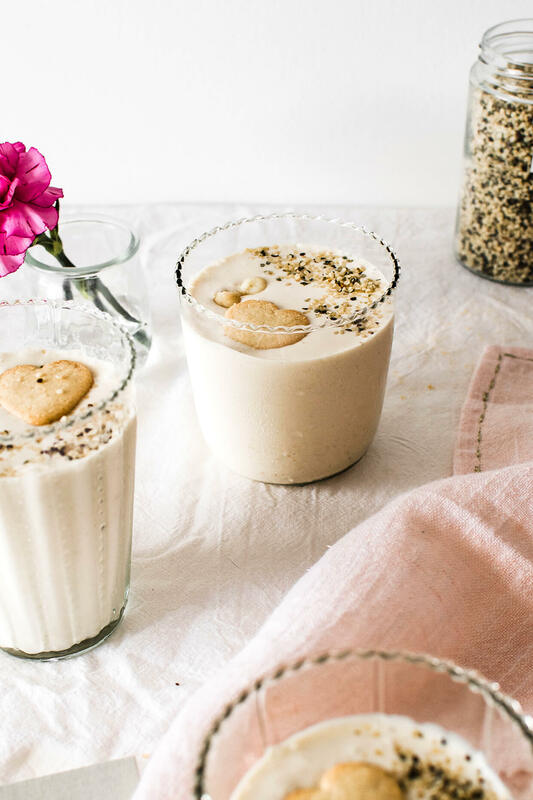 And last but not least, this healthy yogurt banana cream smoothie is made with no added sugar. Yes, the cookies have sugar in them, how much and what kind always depends on the cookies you buy. But apart from that ingredient, which you can skip if desired, there’s nothing else in here. The bananas are sweet enough. This healthy yogurt banana cream smoothie tastes like a frosty banana cream pie, with way less calories! Place yogurt, bananas, nuts, cookies and vanilla in your blender. Blend on high speed for a few minutes, until the mixture is thick but smooth. It will be somewhat icy. Taste and add more vanilla, nuts or cookies if desired. If the smoothie is too thick, you can add some milk (or even water) to thin it out. 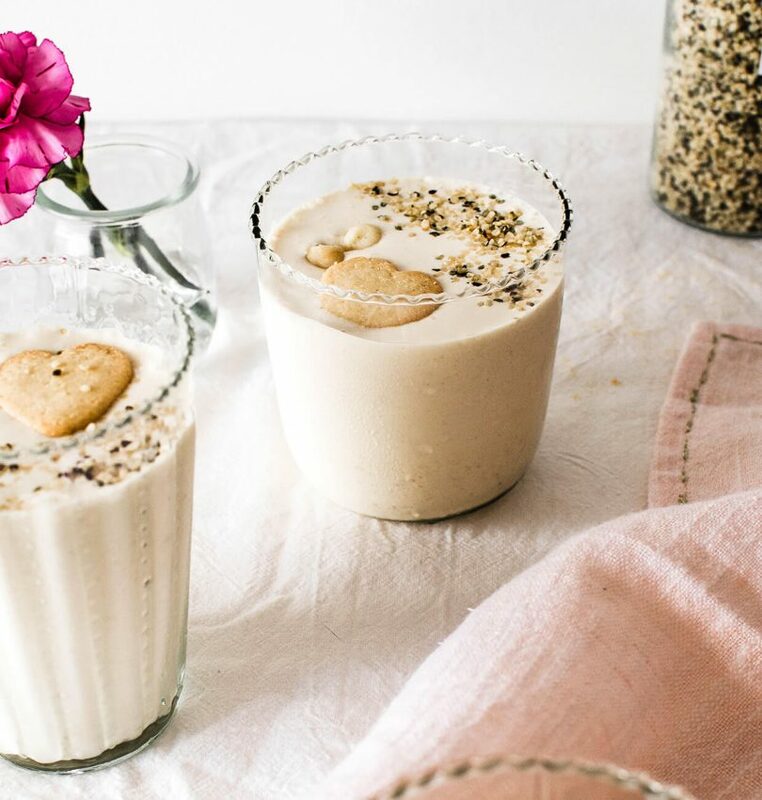 To serve, pour smoothie into glasses or bowls, top with hemp hearts and, if desired, more nuts and cookies. Totally too much sugar! I prefer to ignore the nutritional label, haha. It incredible how much goodness is in this smoothie! I contains so much protein and probably tastes incredible!